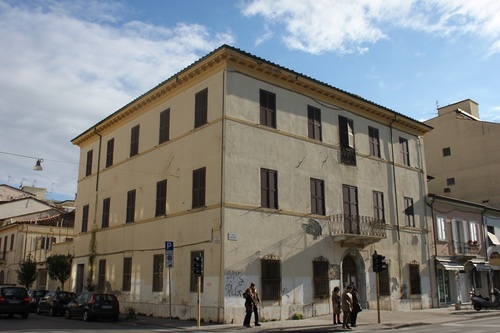 The secondary location of the Ospizio Marino di Lucca in Viareggio (Viale Ugo Foscolo, 88), was a building in which children with tubercolosis were treated. 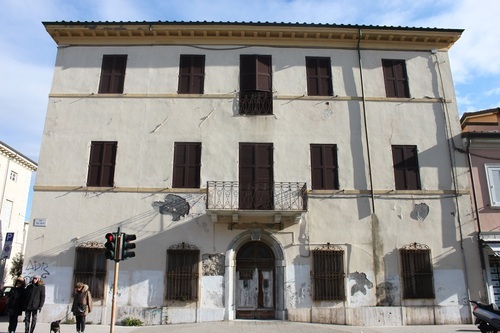 In 1909 the bank Cassa di Risparmio di Lucca decided to allocate subsidies in favor of those children who, though in need of marine care, could not be accommodated in the headquarters of Ospizio Marino di Lucca for age reasons. 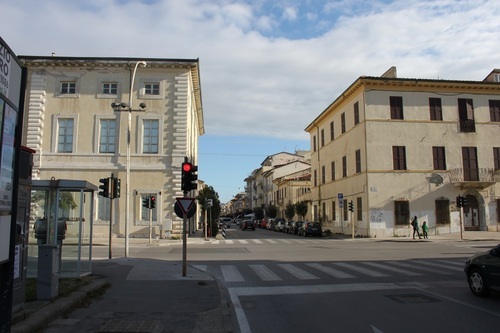 In 1911, having been approved the principle of separating the children of summer hospice from those of the permanent Hospice, the bank bought a new building in Viale Ugo Foscolo. It was an excellent choice because the building was near the headquarters of Ospizio Marino di Lucca and close to Ospizio Marino di Firenze. It was in front of the sea and could accommodate about 60/70 beds1. The building, after being the secondary location of Ospizio Marino di Lucca, became the Carabinieri barracks. Nowadays it is uninhabited. 1. Gabrielli Rosi 1973, op. cit., p. 101. 2. Ex Ospizio Marino di Firenze.